During the late 60s and early 70s, something exciting and somewhat remarkable was happening in Germany. Bands such as Kraftwerk, Can, and Faust were producing otherworldly and distinctly futuristic sounding music that combined electronic experimentalism, sparse musical minimalism, and avant-garde influenced rock like it was the most natural thing in the world. Of course the likes of Can never really set out to make Krautrock; the label was coined by Melody Maker in an attempt to put a name to the outpouring of inventiveness sweeping through the German underground. Furthermore, unlike punk, no two bands were really all that alike. Now, while I’ve become familiar with the likes of Can, Neu!, and Kraftwerk over the years, I’ve somehow managed to hear very little Cluster. While being an admittedly glaring omission, it remains one that can be corrected by this sprawling, limited-edition boxset. 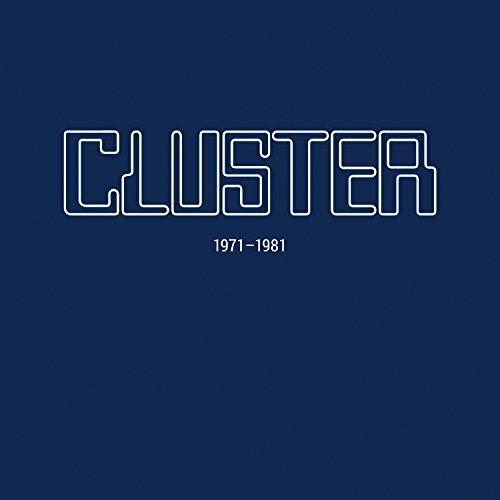 Cluster 1971- 1981 is over six hours and contains nine whole albums. As a reviewing prospect, it was kind of intimidating but as an introduction to the beautiful, cool and extraordinary instrumental world of ambient noise created by Hans-Joachim Roedelius and Dieter Moebius, it has been absolutely essential. The collection starts at (almost) the beginning with the group's self-titled, 1971 debut album Cluster. What becomes apparent throughout the boxsets duration is just how much the band’s sound evolved over the years. 1971 finds them at their rawest, the tracks here adopting a noticeably discordant, dirge-like sound that would be echoed by the likes of Throbbing Gristle years down the line. Essentially a selection of dark, frazzled and distorted drones, Cluster makes for a discombobulating and, at times, near terrifying listen. Released the following year, Cluster II shows an impressive progression in the band’s sound. While it remains an intense and uncompromising record, Cluster II introduces a more overt electronic influence alongside a distinctly hazy, psychedelic tone that seeps into the likes of ‘Im Süden’. The pace is slow and hypnotic; the atmosphere mesmerising and strange. It must have sounded like something beamed from another planet, the Clangers hooking up with avant-garde musicians on Mars. Like the first LP, there are no beats or rhythms to guide the way, just endless prisms of sound. The strung-out drones crackle, ebb and flow, oscillating wildly in some tense, interplanetary vacuum. Listening to this now, it’s incredible to think how ahead of their time the band really was. What follows is potentially Cluster's crowning achievement. While its predecessors were discordant and frequently tense records, Zuckerzeit was something else altogether. For this album the band were joined by Michael Rother, founding member of Neu! and a bandmate to Moebius and Roedelius in Krautrock supergroup Harmonia. While the two previous records had explored free-form soundscapes, Zuckerzeit introduced repetitive, motorik rhythms and a gentle yet propulsive sound. While describing it as Cluster's ‘pop’ record might be stretching things, Zuckerzeit is certainly the band's most accessible record. Accessibility hasn’t replaced ambition and sonic scope, though, as the 38 minutes here make up some of the most startlingly unique and fascinating music you’re likely to hear anywhere. Just listen to the three minutes of pure joy and exhilaration that make up ‘Caramel’ or the wonky, blues-like boogie of ‘James’. It’s a sound they never really returned to, making it a unique record in a unique discography. It’s a truly fantastic record and perhaps the ideal starting point. The golden period continues with their 1976 masterpiece. A genuinely beautiful album, Sowiesoso finds Cluster exploring ambient soundscapes and drifting, dream-like melodies. Where their first two albums had often embraced discordance, Sowiesoso creates deeply meditative worlds that chime perfectly with the serene sunset scene found on the albums cover. Just listen to the zen-like calm of ‘Zum Wohl’, bird calls and a gentle piano drifting, soothing and sighing. If there was such a thing as heaven I’m pretty sure this would be on steady rotation. There’s a sense of mystery and intrigue to the likes of ‘Helwa’ that filter the bands ambient drones through hypnotic, middle-eastern textures while the chanting on ‘Umleitung’ is both somewhat silly and celebratory. It’s hard to imagine that the album didn’t influence David Bowie, who released the often ambient Low record only a year later. It’s an album that feels incredibly human, the synthesisers now complemented by more organic, fragile sounds. It’s a subtle yet multi-layered record that provides the best kind of musical escapism. Utterly blissful. The ambient vibes continue with the next two records, Cluster & Eno and After the Heat. Both albums saw the duo collaborate with that purveyor of all things serene, Brian Eno. Cluster & Eno was released in 1977 and alongside Bowie’s Low album must have stood in sharp contrast to the explosion of punk rock at the time. There’s nothing noisy or adrenaline-fuelled here, with the band further exploring gentle, immersive melodies and ambient textures. The likes of ‘Wermut’ are night-time hymnals filled with dark, haunting drones and distant pianos, while ‘One’ is a wall of droning sitars and otherworldliness. Perhaps a little more out there than it’s predecessor, Cluster & Eno is a beautiful and inspired piece of work. After the Heat is released the following year and finds the trio of cosmic adventurers delving ever deeper into their ambient bag of tricks and producing yet another challenging and forward-thinking document. ‘Broken Head’ matches droning, drawn-out guitars and a chant-like vocal from Brian Eno, while ‘Tzima N'Arki’ sees the band employ a Talking Heads-esque shuffle. Seen as a pair, these two records bear many similarities; the ambience and experimentalism, the beautiful and the strange. Clearly a prolific outfit, Cluster released Großes Wasser the very next year in 1979. The rhythms that had begun to creep in during After the Heat take a more prominent role here, with the album almost coming off as a dark, troubled twin to Zuckerzeit’s energised, pop zeal. Experimental and at times completely off-the-wall, Großes Wasser finds Cluster operating as a duo again and clearly enjoying themselves. The highlight arguably comes with the 18-minute title track, which revels in the avant-garde, embracing Steve Reich-esque explorations into sound and repetition. Released in 1981, Curiosum was the band's ninth studio album and the last time Roedelius and Moebius would collaborate for eight years. The album is no less experimental than Großes Wasser and inhabits a strange, off-kilter world of unease and mystery. 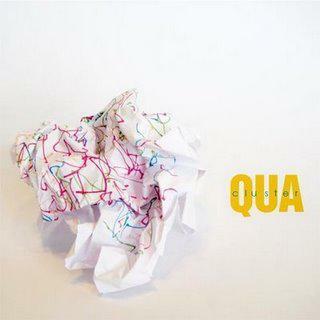 While never quite hitting the heights of Zuckerzeit or Sowiesoso, the album shows a group still inspired to experiment and create something unique a full decade after they first began. Closing the album in style, ‘Ufer’ is undeniably one the band's most beautifully melancholic pieces. The boxset brings this chapter to a close with two, previously unreleased, live sets. The first set is from 1972 and finds the band creating noisy, psychedelic drones of the highest order in Hamburg. The second set is from 1977 and brings the six hours of Cluster to a close with 22 minutes of dark, throbbing drones. Nice. The boxset doesn’t exactly come cheap, yet with so much music it also represents something of a bargain. If you’re new to the band, I’d say you can’t go wrong with either Zuckerzeit or Sowiesoso, yet there really is so much great, great music to discover here. While listening, I drew the links between older acts such as Throbbing Gristle, Coil and David Bowie, while also being reminded of today’s experimental forerunners such as Mogwai, Teeth of the Sea and Gnod. Listening to Cluster you find yourself looking backwards and forwards at the same time. Epic listen Andy ! Aside from Sowiesoso, I'm not that familiar with the albums. It'll be a fun listen. Great review by the way ! Whew, great review for such a massive set. I need to dig into it.